Welcome to our family-run retreat centre and guest house, found between Anjuna and Mapusa (Map~sa) in Goa, India. 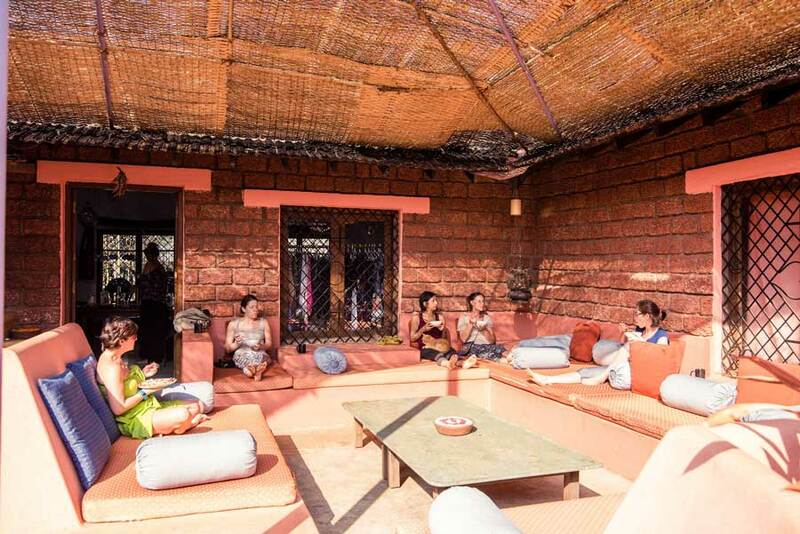 We offer an array of yoga retreats, workshops, yoga teacher trainings and yoga holidays in what we feel to be one of the best locations in Goa. Within easy reach to enjoy the beaches of the Arabian sea, yet far enough away; to feel the authenticity of Goan village life and the peacefulness of the centre within.We have created two of the most beautiful yoga shalas in Goa, both with wood flooring, a swimming pool to relax around and tropical gardens for gathering as a group or resting solo. A relaxed and intimate community setting, where you are likely to experience inner transformation; whilst learning from practitioners, yogis and yoginis, who share their wisdom.Whilst you take your training or workshop, know that everything will be taken care of. Our team of warm and friendly staff, (most of whom are from the village), will look after and treat you like a friend or family member, with a smile on their face and care and attention second to none. Many comment this is what makes Satsanga so special!